Disneyana Collectibles is a shop within Harrington’s Fine China & Porcelains. It sells Disney animation cels, limited- edition lithos and figurines. 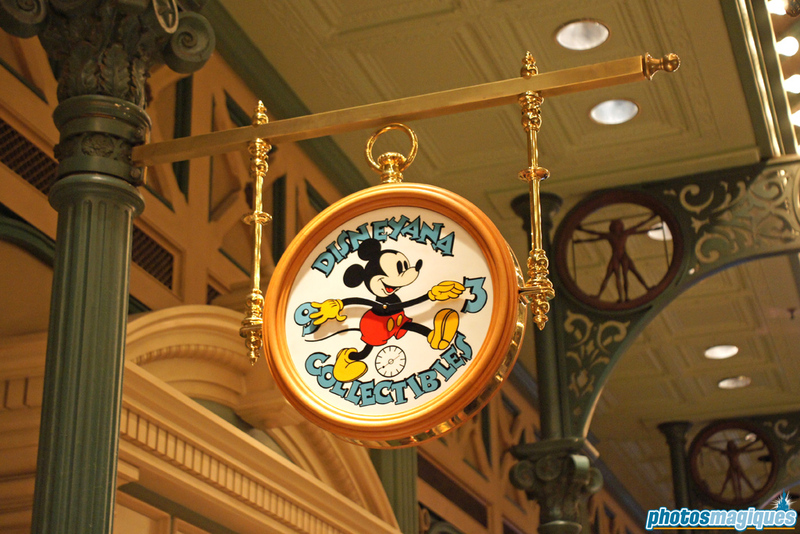 This sign shaped like a classic Mickey Mouse watch is located above the entrance of the shop inside the Discovery Arcade. February 11, 2013 Discovery Arcade, Main Street, Photo of the week, U.S.A.